That’s him there, just leaving with a three-pack of fashion briefs. 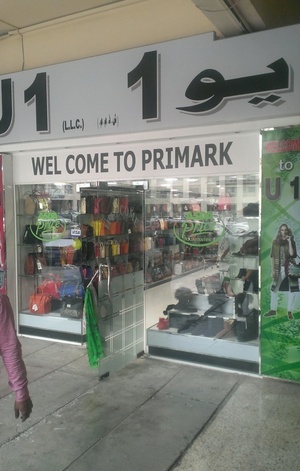 A ‘Primark’ store in Dubai last week. Posted in Misc and tagged Primark, UAE at 7:00 am on February 5, 2013 by Broadsheet.